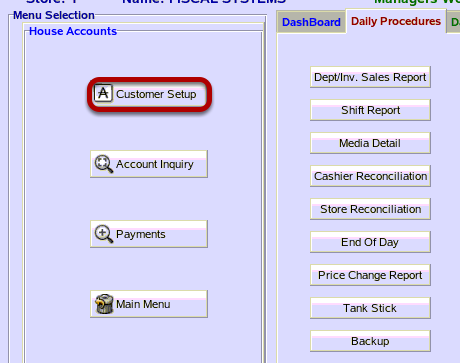 TravStar1 Point Of Sale SystemManager's Work Station House Account ManagementHow Do I Delete a House Account? How Do I Delete a House Account? This lesson will teach you how to delete a House Account from the system and what must be done prior to removing a house account. 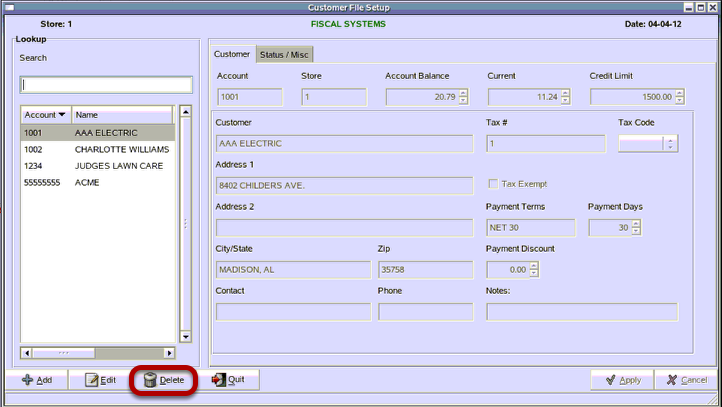 From the Customer File Setup screen, click on the "Delete" button. WARNING: If an House Account is free of charges, payments and balances, etc. you can delete it from the Customer File Setup. If it has balances you will have to clear the invoices by crediting them or paying them off. To confirm and remove the record from the system click on the "Yes" button. 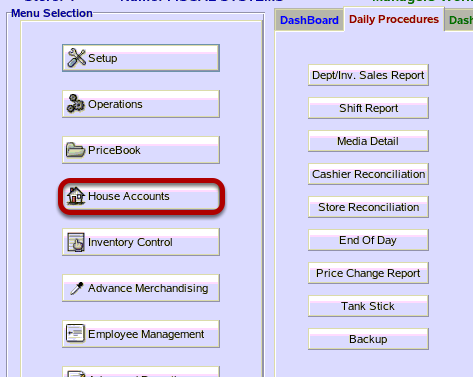 Prev: How Do I Edit an Existing House Account? Next: How Do I Setup a Fuel Discount for House Accounts?